Will a fresh look finally propel this three-door roadster to fame? If you thought the Veloster was gone and done for, you thought wrong. 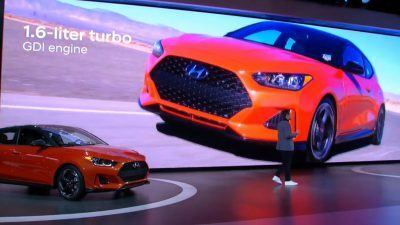 Despite being put on hold for the 2018 model year after multiple years of lackluster sales, Hyundai wasn’t ready to retire the quirky hatchback. Determined to earn it the attention it deserves, Hyundai has redesigned the Veloster and given it a glorious overhaul. We got our first look at it at the 2018 North American International Auto Show in Detroit today. Another Sporty Choice: Don’t miss the spunky, affordable Elantra GT! Senior Chief Designer Chris Chapman kicked off the press conference by taking the stage and acknowledging the importance of this holiday, Dr. Martin Luther King Jr. Day. Moving onto brand news, he pointed out a couple major wins for the company, including the stellar wave of safety ratings for 2018. 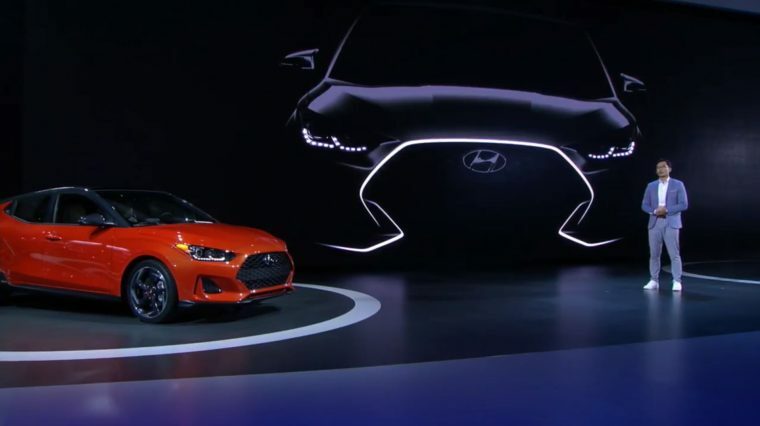 Without wasting any time, Chapman made way for the unveiling of the 2019 Veloster—and boy, is it beautiful. Director of Hyundai Exterior Design Min-Chul-Koo stepped up and pointed out the wealth of design changes to the car’s appearance, which included a pulled-back A-pillar to achieve sports coupe appearance, a lowered roofline, available two-toned paint scheme with blacked-out pillars, heightened fenders, and of course Hyundai’s new signature cascading grille. Inside, the driver and passenger spaces have been divided by the center console and low bucket seats. 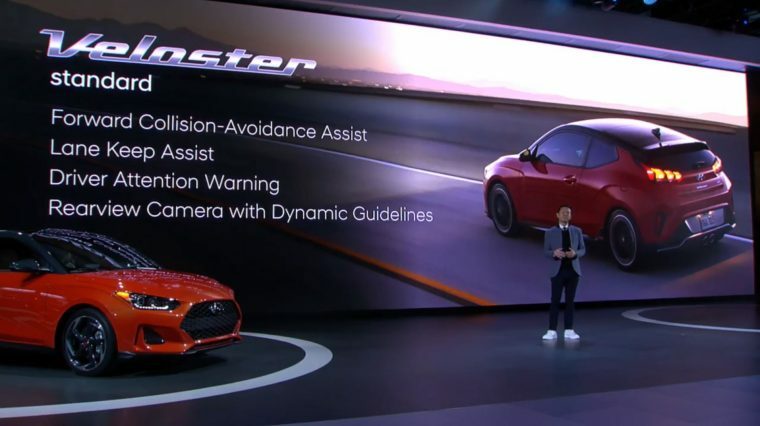 Advanced Product Strategy Manager Daniel Han also joined the party to proudly announce the technical improvements to the 2019 Veloster. It will bear an impressive list of standard features, including Forward Collision-Avoidance Assist, Lane Keep Assist, Driver Attention Warming, Rearview Camera, Apple CarPlay and Android Auto. Optional highlights include an 8-inch floating display, Infinity by Harman audio system, and virtual heads-up display. Under the hood will be one of two engines: a standard 2.0-liter Atkinson cycle 6-speed with manual or automatic transmission, and a 1.6-liter turbo GDI engine with Overboost with six-speed manual or seven-speed dual-clutch transmission with Sport Mode. Handling, susppension, and steering have all been refined. It’s relieving that, instead of mellowing out its oddball design, it actually embraced and enhanced it.